Wave Dental is a popular dental care choice for people in Warwick, RI. Dental veneers are just one of the services that we provide, and through this treatment we have been able to help many people restore their smiles to a condition they can be proud of again. Veneers are very thin coverings that go over the front of a tooth to cover such things as chips and cracks, or to help reduce tooth gaps. Once put on, they look completely natural, and nobody can tell that they are there. They can only tell that you have a beautiful smile! They're cemented to the teeth, and can be made from porcelain or a resin composite, or a special type of porcelain called Lumineers. The obvious advantage of veneers is that they make your smile look better! The other advantage, however, is that they protect your teeth as well. They are strong, resist chips and cracks, and can help your teeth stay healthy for a very long time. Since the procedure is considered cosmetic, it is rarely covered by insurance plans, but we can work with you on financing options. 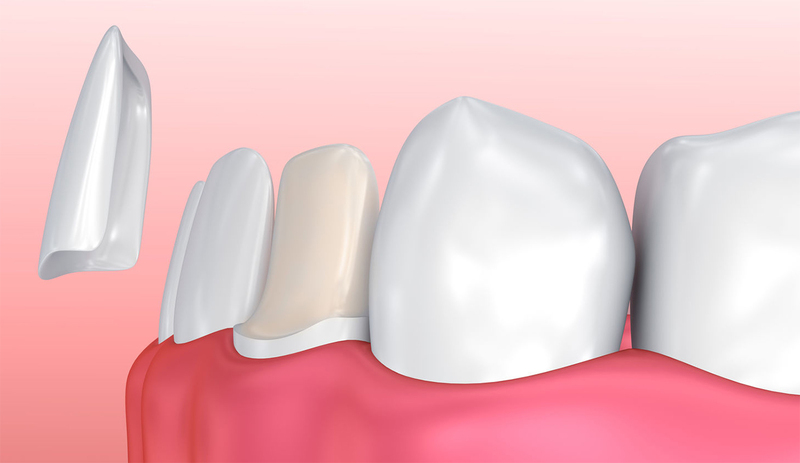 If you're interested in dental veneers, you need look no further than Wave Dental. Our practice places a strong emphasis on saving teeth and not extracting them. Give us a call today and we'll be happy to schedule you an appointment.